Denver Cabinets Countertops Flooring | American Cabinet & Flooring, Inc. Build More | Spend Less If you want the best cabinet, countertop and flooring service experience in Denver, look no further. American Cabinet & Flooring, Inc. is the highest quality cabinet, countertop and flooring distributer in the greater Denver area. We specialize in providing an unmatched service experience to make your project go smoothly from beginning to end. Whether you are needing a new kitchen or bath, have a large commercial project or need help with design we are here to help. We always have someone available at our showrooms in Denver and Thornton to assist you with any questions you may have about cabinets, countertops, or flooring, as well as lots of samples to view. We are proud to say that we earn the majority of our work from previous client referrals. Click above to read what our past clients have to say about us! Proudly serving Denver and surrounding Colorado since 1999. 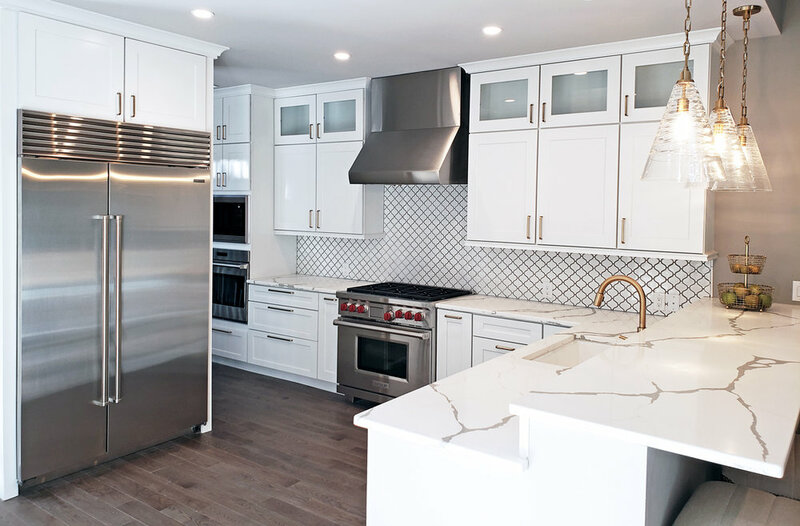 With over 16+ years experience in the kitchen and bath industry, we are able to provide everything you need to create a wonderful kitchen or bath, as well as the expertise to guide you step-by-step through the process. 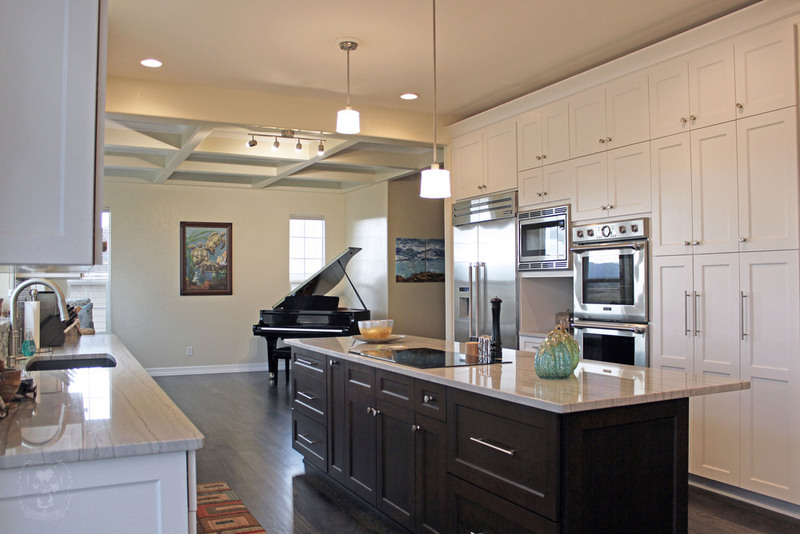 We are the number one kitchen & bath company in Denver, Colorado, guaranteed. Our professional and friendly team delivers the BEST design experience from start to finish and our customer service is second to none. We build nothing but gorgeous, high quality kitchens and baths. Our expertise and unmatched sense of design and style will help you create a kitchen and bath that will turn your neighbors green with envy! We make your life easier. Our designers blend form and function within your new kitchen or bath to improve the quality of life for you and your family. High quality kitchen and bath cabinets at a great value. American Cabinet & Flooring, Inc. is proud to offer the largest selection of cabinets, countertops, and flooring anywhere in Denver, Colorado! Our high quality designers practice needs based design to create the kitchen or bath of your dreams at a price you can afford. We even build our own custom cabinets for residential and commercial clients. Our designers and master builders work with our clients personally to make your project special and unique. We carry semi-custom and contractor cabinets from Ultracraft, Mastercraft, Omega, Homecrest, Aristokraft, Kemper, and Showplace. Nothing brings out the WOW in a kitchen or bath more than the countertops. Nothing gives a kitchen more appeal then beautiful countertops. Whether you are looking for granite, quartz, marble, solid surface or laminate countertops we can take care of exactly what you need. 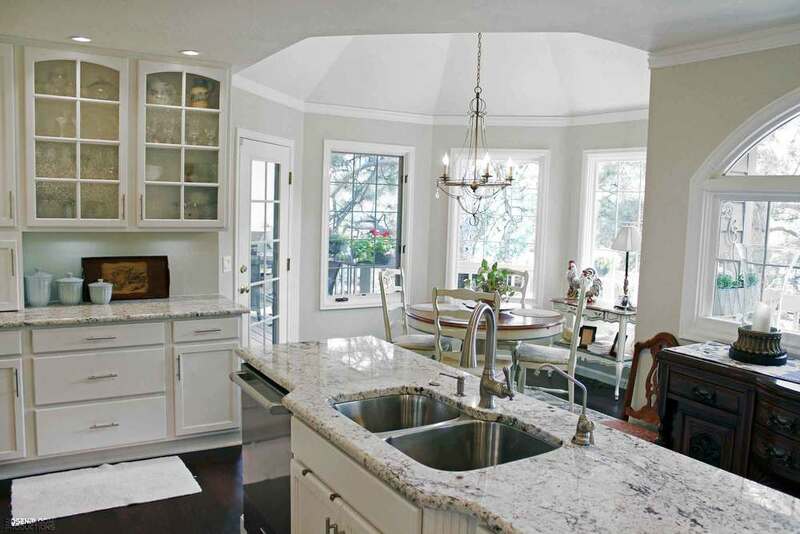 American Cabinet & Flooring, Inc. designs, measures and manufactures all of its own granite, quartz, marble and laminate countertops, while upholding all OSHA standards. Our relationships with the largest slab yards in the state ensure you the widest selection of colors and materials available in the market today, with access to the newest colors before others. Don't be fooled by impostors! Give us a call to make your kitchen or bath shine like never before! When you want your flooring project done right the first time make sure you give us a call. New flooring is one of the best investments you can make in your home today. Whether you are looking for hardwood throughout your home, or needing carpet for the basement, our wide selection of colors and materials make it easy to get everything you need to bring you house to life in one place! We carry marble, travertine, porcelain, hardwood, engineered hardwood, LVT, LVL, vinyl and laminate just to name a few!